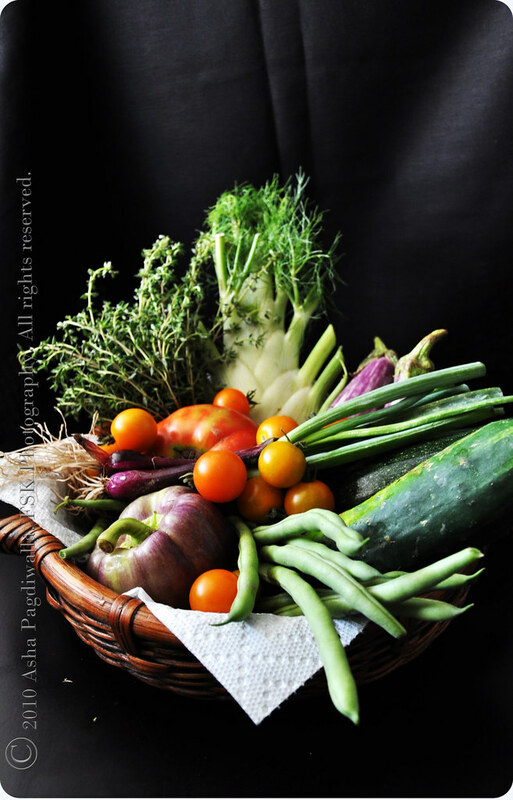 Farm to Table Series is a collection of my recipes, inspired by my CSA basket produce. Each recipe showcases ingredients that are seasonal and organically grown in local farms. I hope you try these recipes and enjoy the vegetables and fruits as much as I did. Bon Appetit! CSA stands for Community Supported Agriculture, a project initiated in an effort to eat healthy, seasonal produce that is grown organically in local farms nearby. If you, like me, miss the taste of the perfection in vegetables and fruits that are grown in their natural season, CSA is a great way to get back in touch with those flavors.